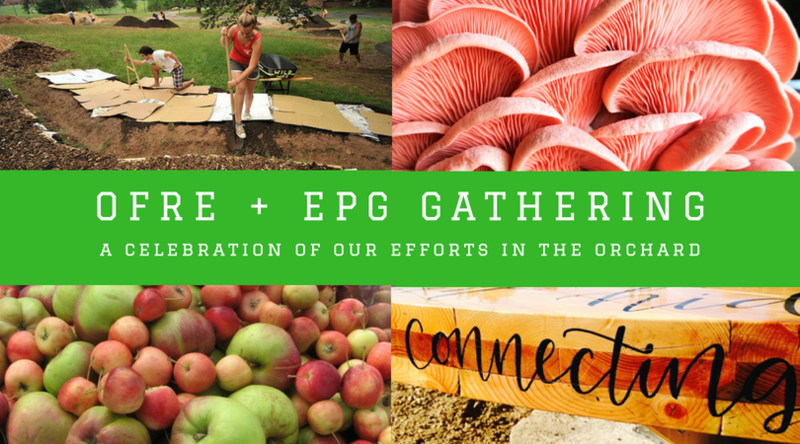 Join us to celebrate the cooperation and efforts of Operation Fruit Rescue Edmonton (OFRE) and the Edmonton Permaculture Guild (EPG)! We will have an opportunity to share our strengths and learn from one another. The event will take the format of educational sessions followed up with application in the orchard as we implement the next phase of its development, share food, and juice apples for cider! This event is free courtesy of OFRE and the EPG. Soil Biology and Sheet Mulching with Marcin Makarewicz & Kazimir Haykowsky of Spruce Permaculture. Marcin and Kaz of Spruce Permaculture bring a wealth of practical permaculture know-how in addition to their enthusiasm for education. Learn how you can sequester carbon and build healthy soils in your own yard at no cost. Take a dive into the functions soil serves, how soil microbiology can be optimized for the plants we want to grow, and learn a step by step method that has produced tremendous results in Edmonton yards. Mushrooms 101 and How to Grow Mushrooms in the Garden with Carleton Gruger of Gruger Family Fungi. Carleton Gruger of Gruger Family Fungi is making waves in the Alberta food scene growing edible and medicinal mushrooms in a state of the art facility in Nisku. Gruger Family Fungi has also demonstrated tremendous success in the outdoor growing of mushrooms such as Lion’s Mane and Oyster. Learn about the plethora of human and environmental benefits mushrooms offer as well as how you can grow them in your own backyard! Potluck. Bring an offering of food (bonus points if it is locally and ethically sourced) and join a fantastic community as we break bread and nourish our collective spirit. In the past this has been one of Edmonton’s biggest potlucks. Let’s see if we can go even bigger this year! Cider Pressing with Mike Johnson of Operation Fruit Rescue Edmonton. Mike Johnson has been with Operation Fruit Rescue Edmonton for 6+ years and his efforts were instrumental to the creation of the OFRE Orchard. Mike is also an expert at making cider. He will share the process to making a perfect Edmonton cider from tree to glass. Participants will have the opportunity to use the OFRE apple press and get the process going with some juicing.